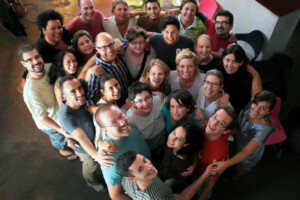 NELFA is the Network of European LGBTIQ* Families Associations and was created on 1st of May 2009 – to unite European associations of lesbian, gay, bisexual and transgender parents (LGBT) and their children under one umbrella organisation. Subsequently, NELFA added “intersex” and “queer” to illustrate the diversity of the movement in Europe. The asterisk reinforces NELFA’s openness to all family constellations beyond LGBTIQ. With 35 associations representing 29 European countries [as of April 2019] and thousands of LGBTIQ* families, NELFA promotes the exchange of information among its members and assists in creating and developing LGBTIQ* families’ associations in Europe. NELFA works to ensure that children raised in rainbow families are granted the same rights as others. NELFA encourages European governments to adopt legal systems and equal opportunity policies that do not discriminate against LGBTIQ* families, whether it be legally, financially, educationally or socially. And NELFA insists on the freedom of movement of LGBTIQ* parents and their children within the European Union, without their family life being compromised by entering or settling in another Member State. 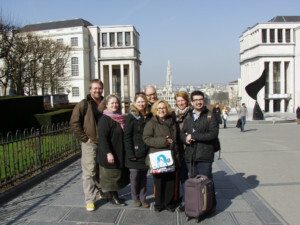 NELFA was incorporated under Belgian law as an international non-profit association (aisbl) on 12th of March 2012. The official NELFA headquarters are located in the Rainbow House in Brussels. In the meantime, NELFA has become a member of ILGA-Europe (the European region of the International Lesbian, Gay, Bisexual, Trans and Intersex Association), Transgender Europe, TGEU (a network of different organisations of transgender/transsexual/gender variant and other like-minded people to combat discrimination and support trans peoples’ rights) and, most recently (2017), COFACE Families Europe (the Confederation of Families Organisations in the European Union, a network promoting the well-being, health and security of all families). Since 2012, NELFA and its member organisations celebrate family diversity on a special occasion: the International Family Equality Day, IFED. This is an Awareness Day that is held (officially) on first Sunday in May in many cities and countries all around the world. Rainbow families come together for a picnic, for a common action day, for a parade or any other (big) event. 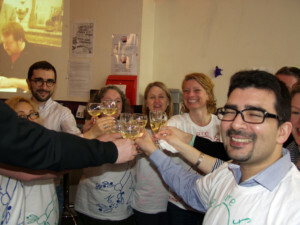 NELFA supports IFED since the beginning, organises own celebrations or encourages its members to do so. For many years, the Network sponsored IFED, for example the distribution of material, like the amazing Annual Report. In 2018, a new IFED NGO was founded in Geneva, Switzerland. The organisation is now responsible for the whole IFED event, NELFA remains a major promoter. Since 2018, the Network celebrates also the International Day of Families (15th of May), which was proclaimed by the UN General Assembly in 1993. A very important event for NELFA was and still is the European Rainbow Families Meeting, mainly organised by its members. LGBTIQ* parents and their children come together for a colourful, funny weekend with joint activities, workshops and lots of games. Until now, these Meetings have taken place in France (Paris 2010), Spain (Lloret de Mar 2012), Germany (Cologne, 2014) and Portugal (Oeiras, 2015). Most recently, NELFA and its German member LSVD realised a little European Rainbow Families Meeting in Berlin (April 2018) with around 90 participants from 11 different countries. Every year, NELFA organises a major Rainbow Families Conference. LGBTIQ* parents and/or their children report on their experiences, international stakeholders present their points of view (i.e. representatives of ILGA-Europe, TGEU, COFACE Families Europe, the European Parliament’s Intergroup on LGBTI Rights or the Council of Europe). The last NELFA conferences took place in Naples/Italy (2017) and Lisbon/Portugal (2018). This year, we will be in Zagreb/Croatia (10-12 May). More info soon! In 2016, NELFA was granted participatory status with the Council of Europe. The grant increases the ability to support family diversity in all 47 member states of the Council. NELFA has now the opportunity to reinforce our participation in decision-making processes and to continue to contribute to building our civil societies, based on equality, justice and human rights. Since 2016, NELFA improves the capacity building of Board members and active voluntees through Erasmus+ projects, financed by the European Union. The main aim is to strengthen NELFA towards its educational activities. Our participants attend training courses (i.e. consulting, teaching and guidance skills, conflict management) and job-shadowings (at major LGBTIQ* organisations). Up to now, we finalised successfully the projects “Adequate and equal legal protection for rainbow families” (2016/2017) and “Chances and challenges for rainbow families” (2017/2018) with nearly 50 participants. In June 2018, we started our third project “Joining forces for the well-being of rainbow families” (2018/2019). 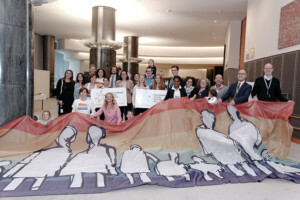 The Network of European LGBTIQ* Families Associations, works tirelessly to improve the living conditions of children with lesbian, gay, bisexual, trans, intersex or queer parents. Board members (currently 13) are volunteers. They bear a large part of the costs (like travel expenses, event fees etc.) on their own. NELFA’s budget derives from two sources: membership fees and donations.